Hollywood, California — January 31, 2018 — Global Nonviolent Film Festival, previously named Brasov Int’l Film Festival & Market, unveiled today its 2018 official Poster. The Poster features actress Christie Norton who is exclusively represented by Global Film Actors Agency. 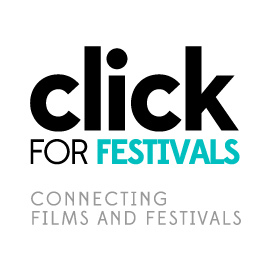 The 7th edition of the Festival takes place from 20 to 30 September 2018 on-line, on its TV Channel. In these days, world viewers can watch any of the selected films at the time of their choosing and from the comfort of their homes. Global Nonviolent Film Festival is owned and organised, since 2012, by Canadian company Global Film Studio; film producer Daria Trifu serves as the Festival Director and film director Bruno Pischiutta is the Artistic Consultant. Filmmakers from every corner of the world are invited to submit films, shorts and documentaries to this vanguard on-line film festival that showcases the best in nonviolent cinema. Special tanks to The Film Festival Doctor, InkTip, iPitchTV and Spanish Public Media of Chicago. Global Nonviolent Film Festival, the most important and renown nonviolent film festival in the world, fights violence one film at a time! Previous PostGlobal Nonviolent Film Festival is open for submissions and announces 2018 datesNext PostWe want your film at Global Nonviolent Film Festival!